So. How to create a better outcome? 1. Respect For Your Past. One of the biggest hurdles in a redesign is respecting and incorporating the past while still looking to the future. And you need to decide if you want an entirely new mark or an updating of your current one. 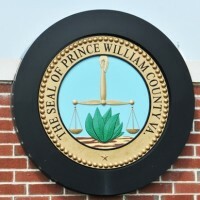 One of the complaints about the Prince William logo was that it didn’t take into account the county’s rich heritage and cre st. Moving away from an historic crest or famous mark can be a big challenge. Sometimes it’s important to incorporate key colors or visual elements that can carry over to the new mark. When my high school alma mater commissioned a logo redesign, they maintained the original color and olive leaf from the old crest. 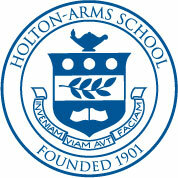 The updated website includes a ghosted image of the crest. There are many wonderful logo designers out there, but my colleagues at C&G Partners in New York @cgpartners are particularly great at respecting historic elements while developing a fresh design approach. 3. A Lasting Impression. Your mark should encompass the best aspirations of your organizational identity—where you want to go, your vision for the world. Trends are common in this business–one year everyone wants red logos, another year, everyone is doing blue. The key to success will be a mark you can have for many years to come. Two critical components (out of many) in good design are attention to negative space and typography. In fact, some great logos are type-only! And while the internet is filled with logo-on-a-budget options and crowdsourced design that claim to do all this for just a few hundred bucks, the reality is, the time spent delving into your organization for the best possible mark design will be money well spent. https://www.amydelouise.com/wp-content/uploads/2017/05/delouise-logo-340x192.png 0 0 Amy DeLouise Producer/Director/Author https://www.amydelouise.com/wp-content/uploads/2017/05/delouise-logo-340x192.png Amy DeLouise Producer/Director/Author2013-06-03 13:00:552013-06-03 13:00:55What Makes a Great Mark?